If you’re a parent, last weekend’s Easter celebrations likely included some coloured eggs and perhaps a chocolate bunny or two. Maybe your family replaced sugary treats with a scavenger hunt and some fun crafts. 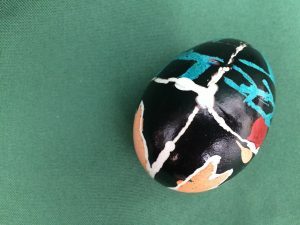 Or perhaps egg-painting inspired you to learn about different cultures (such as Ukrainian pysanky art) or to contemplate the Trinity with your children. Whatever your beliefs, you presumably felt free to explain the significance of these traditions to your family. So what would you say if government officials required you to teach your children that the Easter Bunny was real, and that Santa Claus was too? If you did not confirm these “truths,” the government would remove your children from your home? Sounds crazy, doesn’t it? As of 2018, Canada now has on its historical, legal record a case where a judge had to rebuke Hamilton’s Children’s Aid Society for removing two young girls from their foster home because the parents refused, based upon their religious beliefs, to say that the Easter Bunny and Santa were real. Justice A. J. Goodman of the Ontario Superior Court of Justice must have thought it surreal as he read the facts before him. The young couple, Derek and Frances Baars, are Protestants of the Free Reformed community. They do not practice Christmas and Easter as most Canadians do. However, they said that they were willing to have an Easter egg hunt with their two foster girls; they just would not tell them that the Easter Bunny hid the chocolate. They also said they would give Christmas presents, but would not say that Santa came down the chimney with his reindeer on the roof. Their point: they do not, and would not, lie. It is a religious thing. Honesty and integrity form who they are, just as they attend church every Sunday and say prayers at every meal. ​​The social workers, however, argued​ ​that ​the Baars were ​neither supporting the position of the agency nor meeting the needs of the girls. ​In effect, ​they argued that believing in the Easter Bunny ​was a necessity for children. Justice Goodman recognized that freedom of religion, as understood in Canada, allows individuals to embrace, openly declare, and manifest their beliefs. Citizens are free to live their lives in conformity with their beliefs. The state, on the other hand, is to be neutral on matters of religion. This fundamental right was violated when the social workers insisted that the Baars tell the girls a fictitious creature was real. Incredibly, one of the workers insisted that by making that requirement she was not asking the Baars “to lie or to betray their faith,” but rather was “concerned that the idea of the Easter Bunny would be destroyed for these young children” if the parents insisted that “the Easter Bunny was not real”. Reading through the decision, I could not help but struggle with my emotions. I was tempted to laugh at the sheer stupidity of the case. But my mirth was overshadowed by the sombre realization that two precious young girls were forcibly taken from a couple who loved and cared for them. Taken because the state – in its great wisdom – could not understand the values of a Christian couple who placed truth and integrity above materialism. The moral of this story is simple. Our government does not understand religion. It cannot comprehend it. It does not respect it. But what it does understand is power: power to do what it wants for whatever reason it desires. For that very reason we can be thankful that we have a system of justice with a Charter and independent judges who take seriously their role in protecting citizens from a wayward state. While we can applaud this just and well-reasoned judgement, the fact remains that two little girls needlessly suffered the loss of a loving and secure foster home. We can only hope they are now with a family as tender and truthful as they once had. The Baars have also since moved on – to Alberta, apparently – but they still suffer the painful “what ifs”. All because the state demanded they lie about the Easter Bunny. This, in 2018. In the democratic and diverse nation of Canada! This happening is so unbelievable! If I didn’t know who wrote about this (Barry Bussey) I’d think it was a late April Fools joke! Well written, Barry, and bang on. Like many in our country, I followed these events with incredulity, stunned that this can happen in Canada… I felt compelled to spill a little ink of my own, on this topic and how it relates to the equally noxious summer jobs attestation fiasco. The depths of delusion to which a Godless and immoral mind can sink is almost beyond imagining. Freedom–so called–from God and truth is merely the inevitable process of total absorption into sin, crime, and a bottomless pit of non-existence. Thanks for bringing this to our attention. It is a painfully stark warning that all need to carefully and honestly consider. It is terribly unfortunate that this happened. I was even more saddened as I understand that even after the ruling was made that the girls were not reunited with the family. What a love long tragedy. The good news is that the Lord who could not be head by a tomb of death can bring life and meaning to these girls as they reflect on the experience.